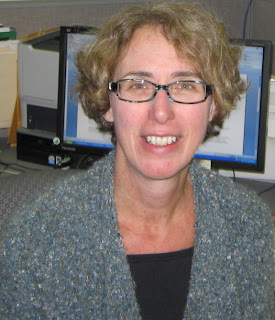 Our Wednesday December 1st Lunch at the Library will feature Lincoln City Libraries Youth Librarian Vicki Wood. Vicki will present her very popular annual review of books that make great gifts for all ages. We look forward to hearing her suggestions. The program begins at 12:10 pm in the auditorium on the 4th floor of Bennett Martin Public Library at 14th and N Streets in downtown Lincoln. Bring your lunch and enjoy coffee provided by The Mill! Please join us! One Book, One Nebraska has chosen Ted Kooser's Local Wonders: Seasons in the Bohemian Alps (University of Nebraska Press, 2002), as the featured title for 2011. Although Kooser is one of America's most distinguished poets, this is not a poetry book at all, but a kind of intimate travel guide to Kooser's backyard. Kooser, who lives in Garland, Nebraska, served two terms as United States Poet Laureate, 2004-2006 and has published many collections of poetry, including Delights and Shadows (Copper Canyon Press, 2004) which won the 2005 Pulitzer Prize for Poetry. 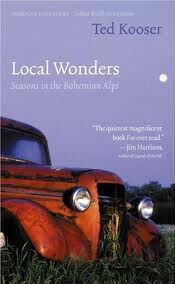 Local Wonders won the Nebraska Book Award for Nonfiction in 2003 and Third Place in the Barnes & Noble Discover Great New Writers Award in Nonfiction for 2002. 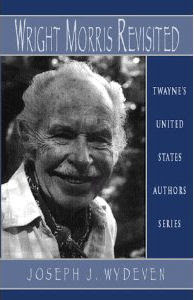 The book was chosen as the Best Book Written by a Midwestern Writer for 2002 by Friends of American Writers. It also won the Gold Award for Autobiography in ForeWord Magazine’s Book of the Year Awards. Like his poetry, Kooser's prose parses the details of a rural American landscape, illuminating the hidden lives of its natural and human worlds with humor and insight. One Book One Nebraska 2011 sponsors include the Nebraska Center for the Book, Nebraska Humanities Council, Nebraska Library Association, Nebraska Library Commission, and University of Nebraska Press. The Robert E. Knoll Lecture Series is sponsoring a lecture by American novelist and editor Bradford Morrow. Morrow will present "My Willa Cather" Wednesday, December 1 at 7:00 PM at City Campus's Union Auditorium. Morrow, who currently teaches at Bard College, is the founder and editor of the literary journal Conjunctions. He is Kenneth Rexroth's literary executor. Morrow is also a prize winning short story writer and a distinguished novelist whose work has been published in Portuguese, French, German and Polish translation. Joseph Wydeven, Professor emeritus of English and Humanities and former dean of Arts and Sciences at Bellevue University, has had an enduring interest in writer and photographer Wright Morris. Wydeven began to read Morris and study his photographs in the early 1970s. He wrote his Purdue University dissertation on Morris, and has since published numerous articles and book chapters on Morris, as well as the 1998 biography Wright Morris Revisted. He first met Morris and his wife Jo in California in 1979 and had at least six visits there with Morris before the writer's death in 1998. He presented a special program on Morris in the Heritage Room in 1985. Wydeven has sought to give us a deeper appreciation of Morris, who is surely one of the most independent, original, and complex writers to come from our state. Morris was the most productive writer of his generation. He was one of the few who can claim the invention, in the photo-text, of a new literary form. Morris won great critical acclaim, but far less popular success. His works chronicled disquieting aspects of the American experience, and a post-Depression world in which anchors of history and place, seemingly renewed in the 1930s, were once again drifting away. Since Morris' book, The Home Place, has been the 2010 One Book One Nebraska selection, it seemed appropriate to invite Joe Wydeven back to talk about one of his favorite topics. The program begins at 2:00 PM Sunday, November 21st in the Heritage Room on the 3rd floor of Bennett Martin Public Library in downtown Lincoln. Please join us.